but i have tinkered with Textures and Sprites a long while,and made skins mods for a long time. Yes, which can be seen for the most part the in the tile texture. Might be, but I like the one with 7 colors the most for the Keen games. The four color ones original came through the hardware limitations. It's also nice though and agreed with HDX not so much different. so that can stay on the shelf till then, and instead add 2 additional player characters to Keen 1 and 4 Specials. Character selection I had in mind and the code is pretty much prepared for that. I can do that as next task if you wish. Basically I only require an extra menu and that's it. The character have no special abilities so the engine loads the sprites depending on one how one variable is set anyways, like it does with the other players. Nonetheless for multiple players I think every player should choose it's sprite when the game starts. where you only need the .wad Data files: Scripts/Sound/Sprites/Maps. sounds like possible Bio menace support down the road. to play it's animation vertical (use a variant sprite) when hot up or downward, instead of Left and right, Possible? I'll find and pack the sprites if you want tinker to with them. That is no problem at. If you send me some sprites, I will put them in. How about let CG rotate them in place by 90° when shot up or down? Or do you prefer different sprites at all? I once had the idea of shooting diagonally, like using the mouse to point, but I think that would be very game breaking and too far from the original. What do you think? Don't worry, I will More videos will come showing more features. About Keenish there is no special mission brief or plan. I think it will come and merge into one piece someday. Depending on what will be liked and what not and how this community will evolve and what my time will allow to do... I like to think how Freedoom came to be. It is a nice alternative to Doom. Or maybe someone has a great idea which would run on CG. I'm open for that. Or my wife or a friend comes up with some ideas about our crazy life and we put it into the game . but she is much more remembered, giving her role for giving Keen Hints: where to find the Wetsuit and the Secret Level. it is likely the Page wants to tag along, to make up for calling keen "Captain Keen"
The question about Lindsey is really; Should she wear her Dress as in Keen 4 or Pants like in Netkeen? The Dress is nice and if Princess Peach can run through levels with a Dress, why not her? On the other hand pants should be better for running in jumping in generaö. I like the pants a bit better, but only a small bit. What do you prefer? gerstrong wrote: ↑ Might be, but I like the one with 7 colors the most for the Keen games. The four color ones original came through the hardware limitations. It's also nice though and agreed with HDX not so much different. One exception to the Original palette would probably be Bio Menace characters. gerstrong wrote: ↑ Character selection I had in mind and the code is pretty much prepared for that. I can do that as next task if you wish. Basically I only require an extra menu and that's it. The character have no special abilities so the engine loads the sprites depending on one how one variable is set anyways, like it does with the other players. Nonetheless for multiple players I think every player should choose it's sprite when the game starts. or instead make each character limited to 1 and display an error, like: "A Player have already chosen that character"
gerstrong wrote: ↑ That is no problem at. If you send me some sprites, I will put them in. How about let CG rotate them in place by 90° when shot up or down? Or do you prefer different sprites at all? I like the Dress variants the most, But with a selection screen we could also have character skin variants. Cool! I have tidied up a bit the code unifying the menus a bit so player selection will be easier on both keen game types. I am testing right now your sprites and will get back to when I have news regarding MoMGalaxy revision with CG and Python. > i actually have a set of unfinished photoshop layers for the weapons for Invasions of the Vorticons for Galaxy. I think a Character that don't have, the alt weapon frames needed, should probably should use it's default frames instead. it was a bit more work than expected, but we have itself rotating sprites (only tilted to 90 degree, but that will suffice for now). This time no Keen exe is required for this game to be played. It uses another small python script and the engine provides everything else. I have also integrated the ray sprites and they are displayed tilted when Keen shoots up and down. What do you think? Reminder: You will see a lot of bugs in this video, but for not relying on data of any Keen exe I think it already does a good job. When that version is ready, this game will be more than playable and provide some new cool stuff. Especially regarding Multiplayer I think this will be very cool! Regarding this video I tried to put Kylie in as second player, but remembered that these sprites are only meant to be used in Episode 4. The indices are different in Keen 5, so those of Keen 4 did not work. Are there special sprites packages for Keen 5? This time no Keen5.exe is required for this game to be played. It uses another small python script and the engine provides everything else. Seems like i have to alter my mod packages for Keen, in the near future. will the keen5.py be available? as i have no idea what needs to be written inside it? Yes, there is a couple of Bugs, even the sound noise i mentioned. Well that Answers my question, about how alt characters would be handled in Keen 2, 3, 5, 6. 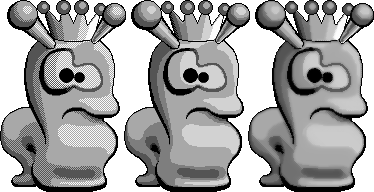 BTW; how will CGenius handle a sprite that is a few sprites that is 1 pixel taller then the original? Nothing special so far, only some file references. Take a look at the version 2.1 topic I opened. I uploaded an updated Version of Keen 4 Plus your sprites included and MoMGalaxy pythonized. There is not much about the python code. What will be read from that file is what we can decide here. Every variable, every function can be defined as you wish. Since in CG the interface is very new I'm open to whatever you want. The preview still has those bugs. I will fix them in my free time, code changes in CG considered and also Python code update wherever it makes sense. Different sizes are no problem for CG, it does not care. You should only have the Bounding Box in mind when considering the design of levels. In Keen 5 there is a small spot in one level where taller sprites might not fit in. This obviously depends on which sprite is being processed. I will be on vacation for one week from now on. When I'm back I will continue on that and let's see what new ideas have evolved then. gerstrong wrote: ↑ Nothing special so far, only some file references. Take a look at the version 2.1 topic I opened. I uploaded an updated Version of Keen 4 Plus your sprites included and MoMGalaxy pythonized. gerstrong wrote: ↑ Different sizes are no problem for CG, it does not care. You should only have the Bounding Box in mind when considering the design of levels. In Keen 5 there is a small spot in one level where taller sprites might not fit in. This obviously depends on which sprite is being processed.